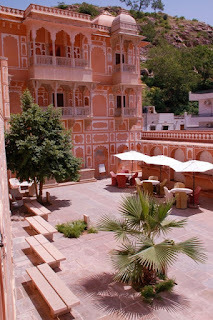 Jaipur things to do where to stay complete guide : Five Offbeat Places in Jaipur one should not miss ! 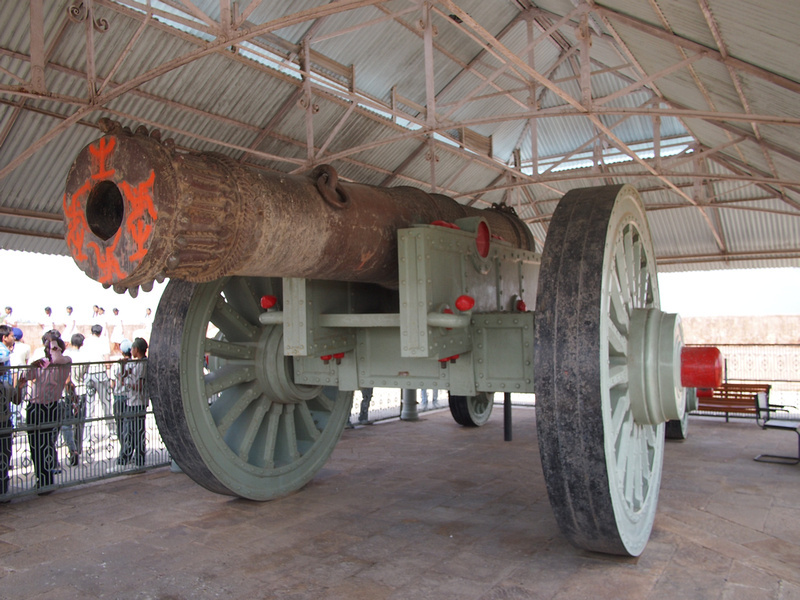 Five Offbeat Places in Jaipur one should not miss ! Anokhi Museum is rightly named. In Hindi Anokhi means different from others and yes it is different from others as this museum is situated in an old Haveli as well as this Museum is totally dedicated to Textile and Block priniting exhibits. A museum dedicated to clothes and prints on clothes sounds like 80's shoppping mall. In the Amber Fort’s shadow and a mere ten minute walk through the cobbled streets of Amber, the historic capital of Rajasthan, lies the Anokhi Museum of Hand Printing (AMHP). Located in a magnificently restored haveli or mansion, the museum displays a varied selection of block printed textiles alongside images, tools and related objects – all chosen to provide an in-depth look into the complexity of this ancient tradition. Please stop by near Hawa Mahal if you hear sound of "Hello! , Excuse me! 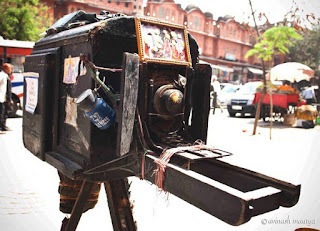 Old Camera!". The person shouting will be Tikam Chand. Tikam Chand is Grandson of Royal Photographer Pahari Master who use to click picture for the King Himself. Its located in jaigarh fort enroute Nahargarh its majestic and stories says it has the highest range of fire at its time of glory! If you liked the ride in Amber Fort then this is the next place you should plan to go. 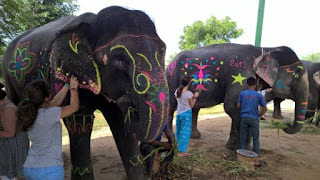 You will be given and intrioduction, There you can become comfortable with your elephant , ride bare back paint his face and have all sort if fun.They also provide hotel transfer. If you are in India and that too in Jaipur and never visited a step well , then this is the place to be. Yes this is one of the most old well preserved step well. 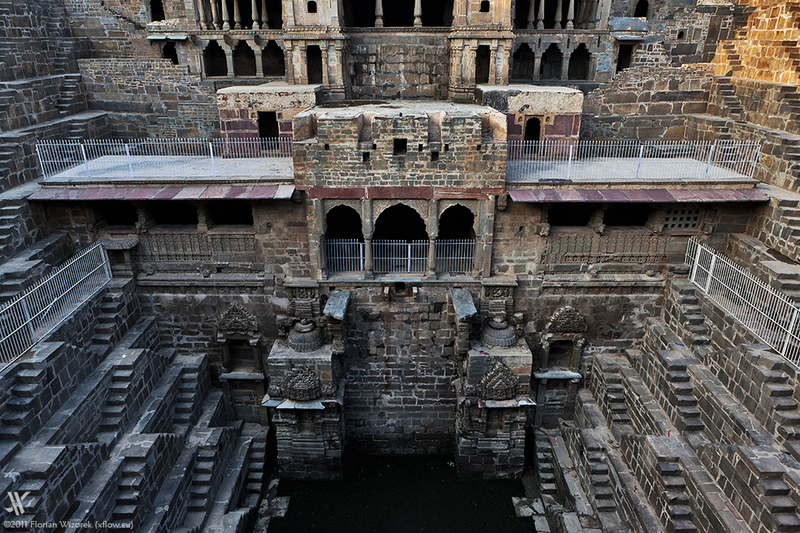 Step well is one of the ancient architectures developed in India to fetch water from the earth, without risking once life. 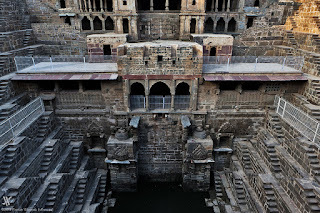 There are many in jaipur , udaipur , jodhpur , delhi , but one of the most beautiful one in Abhaneri Step Well. Wow thanks for brilliant nice information on Blog-Spot of jaipur tour package. Jaipur has got so many options where you can have delicious mouth-watering food. If you are travelling to jaipur or living in jaipur. You must go to those places to satisfy your appetite. Read my new post, Take a Food Tour in Jaipur- a Paradise for Vegetarians. travel agents swan tours solve your problem. Love exploring new places in India? Jaipur has a special addition for all type passenger, travelers looking to find luxury in Indian ethnic style recommended by old times. The attraction of this historic city has many concept to read and collect memories. Book your holiday stay at Aryaniwas, a finest luxury hotels in Jaipur offer top services, food, luxurious stay. Things to do in Jaipur in January!